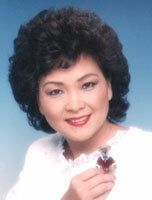 World of Miniature Bears was founded by Theresa Yang in 1996. After divorcing and separating from Little Gem Bear Company, she started a wonderful new adventure. "With my experience, plus many long and hard hours, World of Miniature Bears has grown to become the highest volume manufacturer of miniature collectible plush bears and animals today. More than 1,000 stores carry our bears and we are represented around the world. In 2006 World of Miniature Bears celebrates its Ten Year Anniversary, with hundreds of designs to choose from. asking if we have any vacancies within the business" Theresa explains. "This has given us the opportunity to employ a very dedicated staff, who enjoy sewing these bears. Some workers have been with the company for 10 years. Thus, the quality of workmanship on the entire range of pieces sets a very high standard." As a miniature artist herself, Theresa found that collectors were sometimes frustrated by the prices that she had to charge to make selling her one-of-a-kind designs viable. "When I launched this company, I wanted to find an alternative to artist bears that didn't compromise quality", she explains. "I think we have achieved just that. I also wanted to make meaningful bears which are more than just toys. That's why I included the tiny messages on some of the bears. Fifteen years ago, you could buy big bears anywhere. Miniature bears satisfied my personal interest and met a need in the market" Theresa has grand goals for her company. "It's named World of Miniature Bears, but there still are parts of the world where my bears are not sold." she says. "It would please me to have them in every country."